It was a different time when I chose to do door-to-door campaigning for George McGovern as he sought the presidency. I was pretty naïve politically back then, but I had a feeling in my gut that Richard Nixon was, indeed, a crook. Nixon to me was untrustworthy and sleazy. And McGovern was talking about ending the war in Viet Nam, which made a lot of sense. I was young and single and felt I needed to do something. So I volunteered to go door to door in my then home town of Syracuse and talk about the campaign. I was assigned to a blue-collar neighborhood on the near east side. All we had was a list of names and addresses. No sophisticated voter lists like we get today. No scripts. No surveys. We knocked on doors and actually talked to people. Republicans. Democrats. Undecideds. Most people were welcoming. Many invited me in to sit at their kitchen table and discuss our views over a cup of coffee. I talked about a man I had never met, but who I felt could lead the country out of a war that would never end. But the thing that sticks in my mind is that whether the person I was talking to was for or against the war, whether that person was for or against Nixon – we had a comprehensive and civil discourse. Talking points and sound bites had not yet been invented. My profound disappointment in McGovern’s landslide loss, coupled with my subsequent marriage and family, and a demanding career led me away from active participation in politics until another inspiring man came onto the scene – this one a relatively young Senator from Illinois. And I got involved in campaigning again – working for Barack Obama in New Jersey and Florida. But campaigns in 2008 and 2012 are different. Voter lists are sanitized and the whole process is automated and impersonal. Since the death of Ted Kennedy, we have not had any progressive liberals in positions of significant power at the national scene. 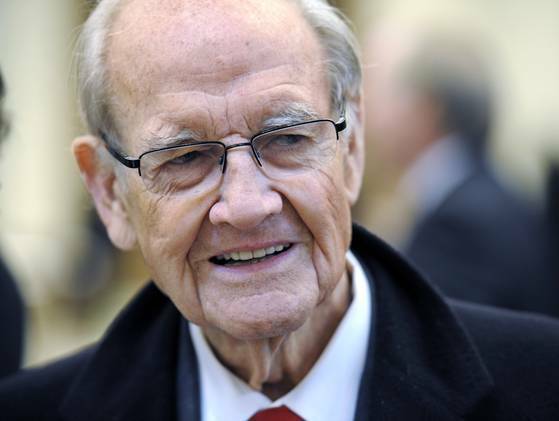 George McGovern influenced a young man in upstate New York in the early 70s. Wouldn't it be a great tribute to his legacy if another liberal lion could emerge from today’s bifurcated political system and reverse the movement of the national agenda from its rightward trajectory? That would be the ultimate tribute to the great South Dakotan who influenced me. The first presidential vote I ever cast was for George McGovern. Looking back, I think if he had won it would have been a calamity for our country, but I have always admired his courage and integrity. Here is a reminder that he did not always march in lockstep with the left.